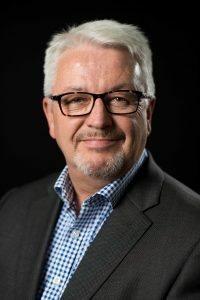 “I am delighted and honoured to have been asked to once again Chair the 2019 Isle of Man Aviation Conference which remains one of the highlights of the business aviation year. Last year was a resounding success which mixed exceptional presentations and discussions with a chance to network and build new relationships, we even managed to have some fun as well! This is still “the” Conference for aviation professionals by aviation professionals and the place where you can share knowledge, share experience and create opportunities. “After the fantastic job Graham did as chairman of the 2018 conference it was a no-brainer for the Martyn Fiddler team to ask him to return. We are absolutely delighted that our invitation was accepted! Graham’s incredible knowledge and experience combined with his great personality and whit ensured that our 8th conference was another success. We are positive the 9th will be just as fabulous!